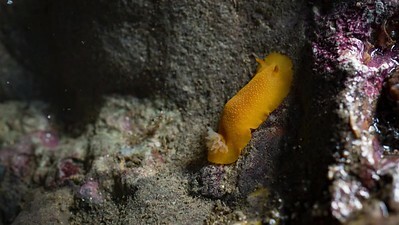 Triopha maculata. 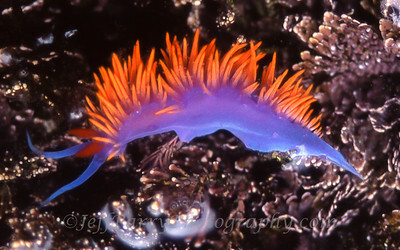 Order: Nudibranchia, sub order: Doridacea, Family: Polyceratidae. Film: Fuji Velvia Slide, 1999. 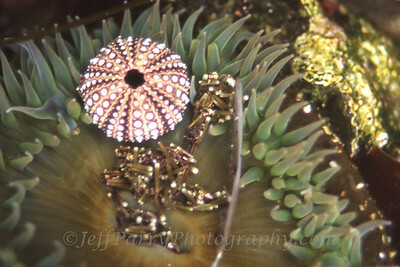 Giant Green Sea Anemone digests a Purple Sea Urchin and all that remains are the hard shell test and spines. 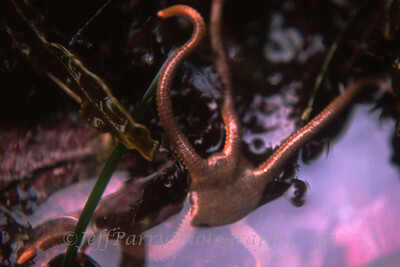 (Anthopleura xanthogrammica) &(Strongylocentrotus purpuratus). 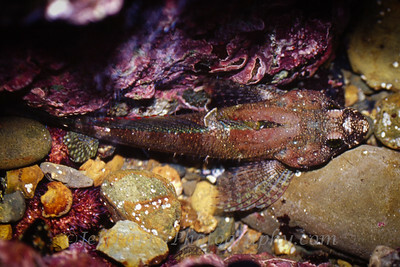 (Oligocottus maculosus) camouflaged and sheltered in tide pool home base off Pigeon Point, CA. 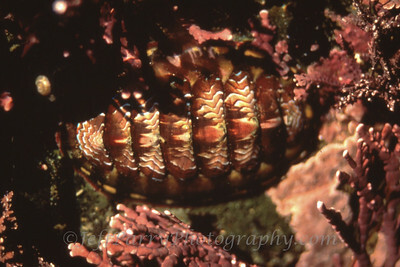 Lined Chiton (Tonicella lineata) is a marine gastropod with 8 moveable shell plates. 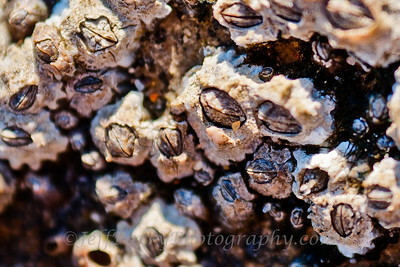 Feeds on algae. 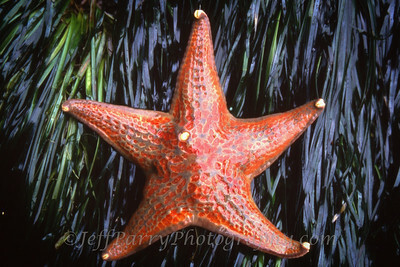 A Leather Star (Dermasterias imbricata) rests on a bed of Surf Grass (Phyllospadix scouleri). 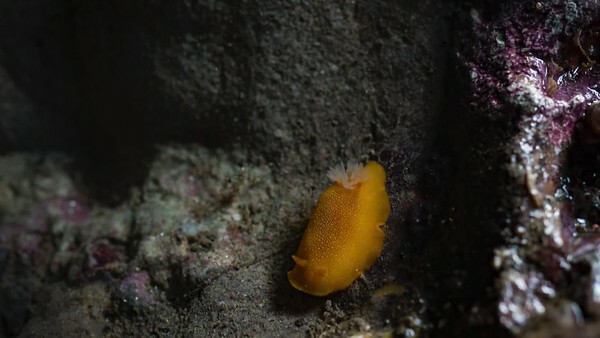 Sea Lemon (Anisodoris nobilis) does a U-Turn while a Six-lined Nemertean (Tubulanus sexlineatus) photobombs the Nudibranch. 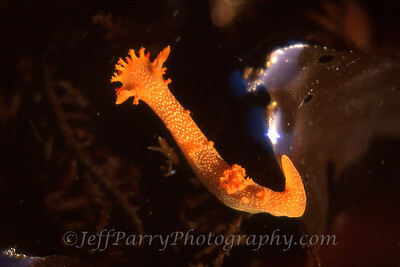 A Sea Lemon Nudibranch was captured at Pigeon Point inside a sea cave on a minus one foot tide. Nikon D810 with macro zoom. Interval was every one second.